It’s lit!! 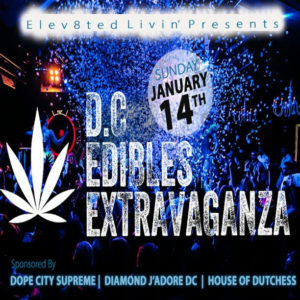 Elev8ted Livin’ presents the 1st DC Edibles Extravaganza hosted by Devin the Dude! This event will showcase the best edible creators and ganjapreneurs in Washington DC. Come get Elev8ted with us and partake in the medicinal and recreational advantages of cooking with cannabis, all while enjoying an array of various vendors, educational seminars, demos and entertainment.